What movie are you most excited to see between now and the end of 2016. And why? Maybe you need to think about it. Here’s a list of intriguing possibilities from The Hollywood Reporter. Above all, I’m eager to see — and terrified of seeing — Martin Scorsese’s Silence. But you’ll read more about that below. I asked the Looking Closer Specialists, and here are some of their picks for what’s left of the moviegoer’s year. Oh, you should know — they wrote their own introductions. Damian Arlyn was a longtime manager in the now-archaic institution known as the video store and remains a lifelong lover of movies. He currently exorcises his creative side by animating STICK FIGURE CINEMA. Silence. Not just because Scorsese is one of my favorite directors, but because when I first heard what it was about (though I admit I still haven’t read the book) I thought it sounded like the perfect story for one of our most thoughtful (and spiritual) living filmmakers to tell. This sounds like the ideal match between artist and material. John Barber watched 365 movies last year, and he’s still a little hungover from it. You probably shouldn’t listen to him. 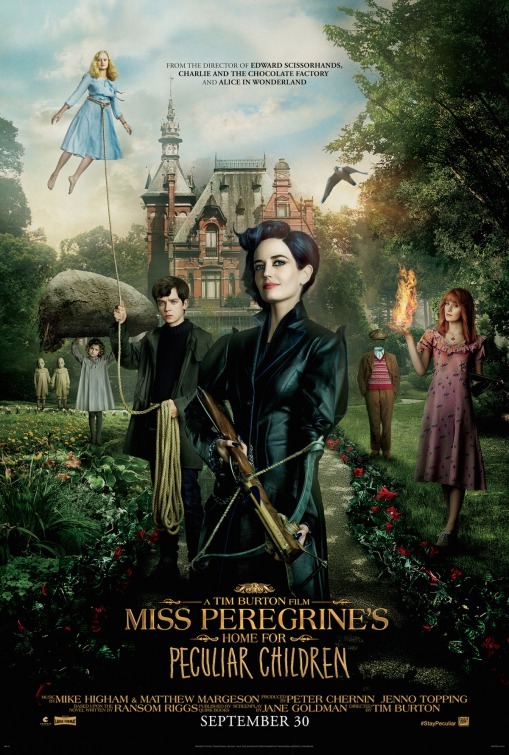 I am beyond excited for Miss Peregrine’s Home for Peculiar Children, not just because I loved the novel, but because this seems like the perfect avenue for Tim Burton. While his later work (Alice in Wonderland, I’m looking at you) is so fantastical that it loses any grounding or so normal as to be banal (the perfectly okay Big Eyes, for example), Burton is at his best when the magical and the ordinary meet head-on. Miss Peregrine looks gorgeous, and I’m hoping it’s a return to form for one of my favorite directors. Chris Pratt and Denzel Washington in Metro-Goldwyn-Mayer Pictures and Columbia Pictures’ THE MAGNIFICENT SEVEN. and Billy Lynn’s Long Halftime Walk, because of the novel and Ang Lee, who is my hero for the double-beauty of both Crouching Tiger, Hidden Dragon AND Sense and Sensibility. Evan Cogswell is a musician and film enthusiast who in his spare time blogs at Catholic Cinephile. 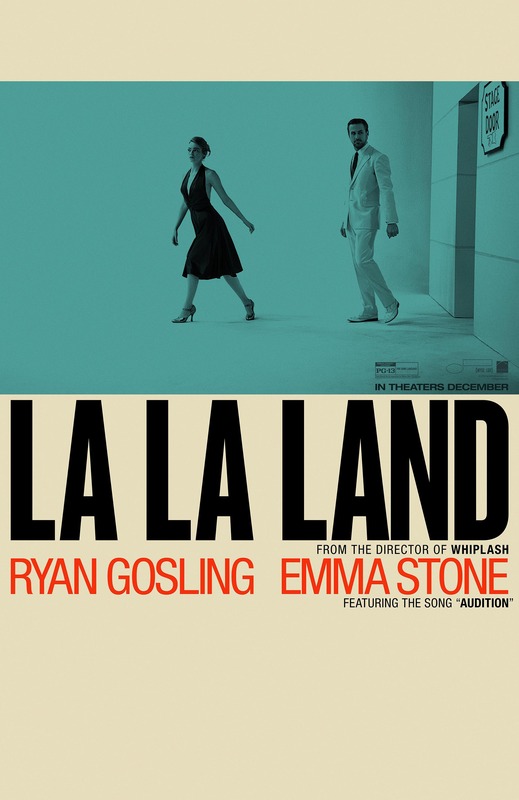 Hoping that early buzz is true — and even if it’s not I would still pick this — I’m going to answer La La Land. While Whiplash was a technically impressive piece of craftsmanship that left me completely cold, if the trailers (and early raves) are anything to go by, it looks like Chazelle’s next feature will be stunning, emotionally poignant tour de force. As a bonus, it appears to be massively indebted to Jacques Demy, whose films I adore. Finally, there are few things I love as much as a well made musical. Carl-Eric Tangen is an irreverent Millennial who is entitled to his opinion. Rogue One, but when are we finally going to see Voyage of Time? Daniel Melvill Jones considers himself no expert on the arts, but cares deeply about them and their impact on people. You can peruse his creative efforts on his website. Two years ago, I read Silence by the Japanese author Shusako Endo. I was brought to it by its reputation as being a landmark in the field of faith based literature. Although its sparse language painted a memorable atmosphere, I struggled to appreciate Endo’s story. Earlier this year Makoto Fujimura, one of my heroes, wrote Silence and Beauty, an extended mediation on themes of the novel and the spiritual landscape of Japan. It changed my attitude to Endo’s work and the message of the book. Silence has been a 30-year-in-the-making passion project of Martin Scorsese. It’s a film incredibly close the director’s heart. Mako is an advisor to the project and reports that it is being crafted with a care and spirit keeping with its importance to Scorsese’s life. I can’t wait to see how he will translate the atmosphere of the book to screen. I’m excited to hear what kind of conversations the story’s bare honesty will spark. Laure Hittle is the world’s leading Budge-Nuzzard scholar, and two librarians. I am most anticipating The Wingfeather Saga animated pilot, which doesn’t count because it’s not coming to the big screen… but I love it with my whole heart already. For something that does count, I am hopeful about Silence. From reviews I have read, Hacksaw Ridge appears very admirable. I am also looking forward to Voyage of Time and The Accountant. How the Gospel brightens "A Brighter Summer Day"